What is memory? Is it just an idea or a thought, or a feeling that can be recalled? Does it exist in the sense of something that can physically be seen and traced? These are some of the questions that are dealt with in the book 101 Theory Drive A Neuroscientist’s Quest for Memory by Terry McDermott. In the book, Terry McDermott follows Gary Lynch—a “rebel scientist”—who has spent the past thirty plus years on a quest to try and physically define what memory actually is. Terry dives headlong into one of science’s unknown frontiers becoming a part of Lynch’s lab in Southern California in late 2004. He starts the book by telling Gary Lynch’s story of humble beginnings and his journey that ultimately lands him in a lab at the University of California, Irvine, shortly after receiving his Ph.D. in psychology in 1968 from Princeton. Lynch is an autodidact and is able to learn about neuroanatomy and biology through books. Aside from that, Lynch has taken no courses in biology. That, in and of itself, is pretty amazing. Also, according to the book, Lynch does not play well with others. Others being the scientific community. As a result, he is sometimes shunned for his unconventional methods and prefers not to attend scientific conventions or gatherings altogether. There is a lot to learn in this book. The struggles that labs and scientists have to go through in order to fund and keep their research going—notwithstanding failed experiment after failed experiment—is overwhelming, to say the least; from grants to pharmaceutical ventures. The explanation of the process of how cells are locked into place, the interactions of proteins, and how long-term potentiation [LTP] plays a role in the formation of—and is the basis of—memory is absolutely intriguing. The book, in itself, does an excellent job of explaining overwhelming concepts to the reader in a way that is easy to grasp and understand. The book was, after all, written by an award-winning journalist. Terry McDermott originally wrote multiple articles about Lynch and his lab for the Los Angeles Times, which is the basis for most of the book. 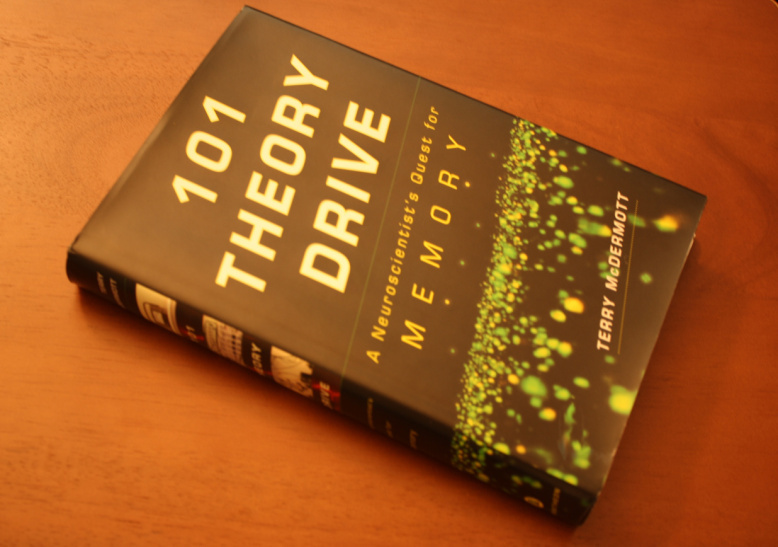 101 Theory Drive definitely makes for an exciting read and shows how neuroscience is poised to map out and chart one of the newest and daunting frontiers in modern science: the inner workings of the human brain.